The recorded declaration of condominium of each condominium operated by the association, and each amendment to each declaration. The recorded bylaws of the association, and each amendment to the bylaws. The articles of incorporation of the association, or other documents creating the association, and each amendment thereto. The copy posted must be a copy of the articles of incorporation filed with the Department of State. The most recent Board approved rules of the association. The annual budget required by s. 718.112(2)(f), and any proposed budget to be considered at the Budget meeting. The financial report required by statute (audit, review, or compilation), and any proposed financial report to be considered at a meeting. The sworn certification or education certificate of each director required by s.718.112(2)(d)4.b. Any contract or document regarding a conflict of interest, or possible conflict of interest as provided in ss. 468.436(2) and 718.3026(3). Notice of any board meeting, the agenda, and any other document required for the meeting as required by s.718.112(2)(c), which must be posted 48 hours prior to the meeting in accordance with statute. This must also be in plain view, as stated above. If protected information, or information restricted from being accessible to unit owners, is included in documents that are required to be posted on the association’s website, the association shall ensure the information is redacted before posting the documents online. If you have any questions regarding these changes, please contact your Association Attorney for clarification. The website must be an independent website or web portal wholly owned and operated by the association, or, a web portal operated by a third-party provider with whom the association owns, leases, rents or otherwise obtains the right to operate a web page, subpage, or web portal dedicated to the association’s activities, and on which required notices, records, and documents may be posted by the association. Our recommendation on this is that the Association have their own website so their records are easily transferrable in the event of any change of management. 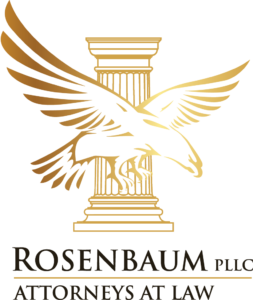 Rosenbaum PLLC represents community associations throughout Florida and focuses on condominium and homeowner association law, real estate law, civil litigation, land use and zoning, and commercial transactions. The information provided herein is for informational purposes only and should not be construed as legal advice. 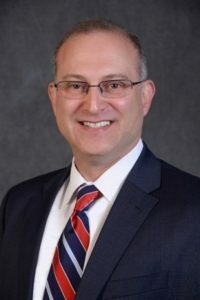 The publication of this article does not create an attorney-client relationship between the reader and Rosenbaum PLLC, or any of our attorneys. Readers should not act or refrain from acting based upon the information contained in this article without first contacting an attorney, if you have questions about any of the issues raised herein. The hiring of an attorney is a decision that should not be based solely on advertisements or this newsletter.